Start the year as you mean to go on and get to more live music. 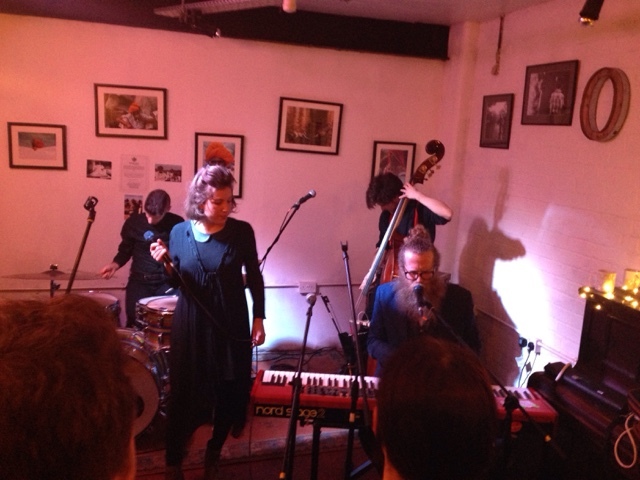 Yesterday I went to my first gig of the year and what a fine show it was. If you follow me on social media you would have already caught me raving about Ben Caplan and how excited I was getting to finally see him live. I was even more stoked when I heard it would be at Ort Cafe which is such an intimate venue. 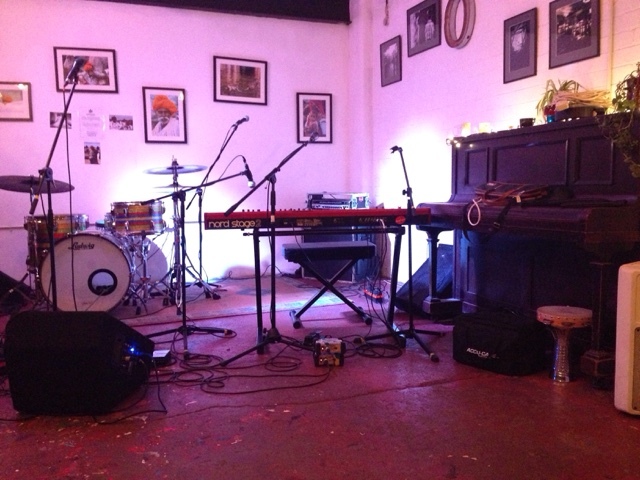 By day Ort is a vegan and veggie friendly cafe and by night you can catch live music, poetry and art shows. It is almost like being in someones living room hosting small crowds of around 70 people. It wasn't until we arrived we realised we were going to be treated to not one but two support acts. First up was the talented Taryn Kawaja along with Ben Caplan from Canada. 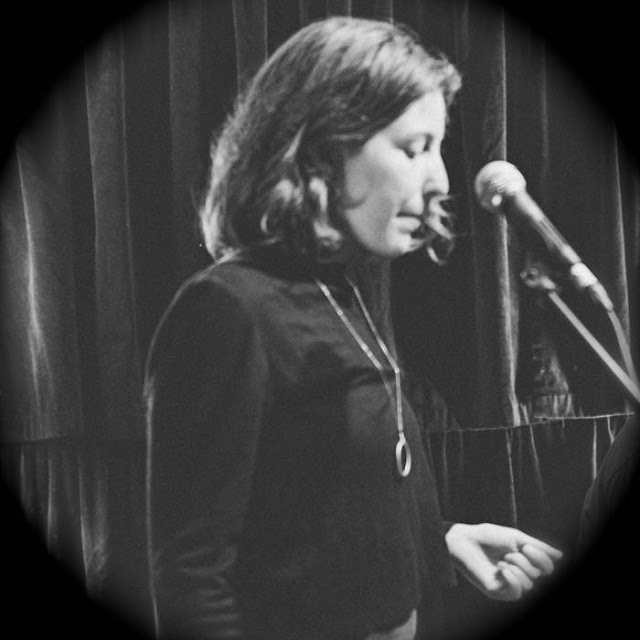 Bringing alluringly haunting vocals that are beautiful and full of soul, Deeply poetic lyrics accompanied by pop piano it would be near impossible to ignore what an amazing performer Kawaja really is, I think we had 6 songs in total including the delicate yet dark 'How to be (Microscope)'. It was amazing to see some homegrown music from the next support Kate Wilkins. A lovely voice and some thought provoking lyrics, I really enjoyed Dancing on the edge of blasphemy I am not sure if that was the song title or just the chorus but it was catchy and inviting. Wilkins also brought some more piano to the evening and some acoustic percussion which added to the relaxing vibe, so much so I sank into the sofa and could almost forgive that I couldn't see from the steadily building crowd. I somehow dragged myself up with the help of some craft beer to get in position for the eagerly awaited Ben Caplan. Even in such a small venue the man knows how to make an entrance. The music starts, the double bass strummed, the drum rumbles and the melodica set a folky tune but no Ben. Everyone watching one door when suddenly he appears through the crowd. Kicking off with 'Birds with broken wings' the biggest smile grew across my face. Taryn accompanied on the melodica and through the set brought piano, and vocals too, The chemistry, flow and all round positive vibes oozed from the whole band. Charming and witty Ben knows how to work a crowd. In strange Birmingham style a strange old man in a huge wig interrupted his tale of the last time he was in Brum, but Ben handled him with respect and politeness eventually being awarded for this with 3 rings from the eccentric gent. I hope Caplan knows Birmingham is full of strange yet wonderful people. The interaction was amazing getting the crowd to clap and even sing along to 'I got me a woman' the Jewish folk inspired songs got the crowd moving. Often compared to Tom Waits I can see where this comes from deep voices, amazing presence and hypnotising poetry in the lyrics. Full of energy and a voice that warms the soul with manic pianos, laughter and all round awesomeness Caplan owned the evening. Every song felt like a favourite with 'Belly of the worm', 'Lovers waltz' and 'Down by the river' being among them. Sadly we had to duck out to catch the last buses home but the music spilt out onto the streets and captivated us in the the cold night air. A truly special special evening. 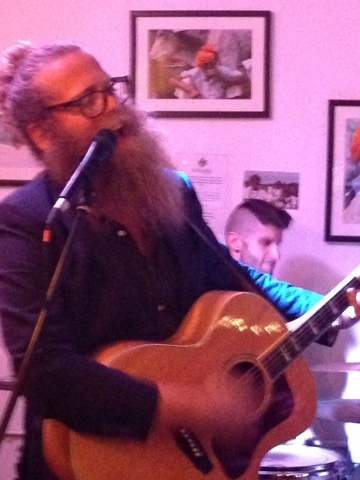 Have you heard Ben Caplan's music before? I have never heard Ben Caplan's music before but I really enjoy live music. Not the big names, just the local acts. To me they have more talent than a lot of the X Factor singers they churn out. I have never heard Ben Caplan but am about to go and google to check it out. Listening to live music is such an experience. I am going to New Orleans, Memphis and Nashville later this year and can't wait to listen to the live jazz, blues and country. Even though I am a pop and rock music lover, being there in the moment with the bands will be amazing. I have heard of him but have never listened to his music. He sounds like a great artist. Sounds like you had a great time, I love it when I discover a new act through the supports - I have discovered some of my favourite bands that way. Craft beer + live music sounds like my boyfriend's perfect night out. One of my plans for the year is to listen to more music from acts I don't know. I'm off to google these straight away as they seem interesting. I enjoy watching live music a lot. So entertaining. I'd never heard of Ben Caplan but I'm off to find out more right now!